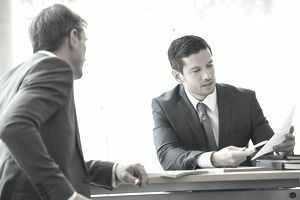 A probate lawyer is a type of state-licensed attorney who, through years of mentoring, continuing legal education, and experience understands how to advise personal representatives, also known as executors, and the beneficiaries of an estate on how to settle all of the final affairs of a deceased person, known as a decedent. The steps required for probate will also differ based on whether the decedent died testate, meaning with a valid last will and testament, or intestate, meaning without a valid last will and testament. Therefore, the probate lawyer must be well versed in the probate laws of the states where the lawyer is licensed to practice. Note that a probate lawyer can also be hired to advise the beneficiary of an estate on legal and other matters presented to the beneficiary by the personal representative during the course of the probate process. This can happen if the beneficiary doesn't get along with or know the personal representative very well. Also, note that some probate lawyers specialize in representing personal representatives and beneficiaries of an estate who become involved in separate lawsuits related to the decedent's estate or when a beneficiary challenges the validity of the decedent's last will and testament through a will contest. These types of attorneys are known as estate litigators, probate litigators, or estate and trust litigators.